TRACE RESTAURANT: A farm-to-table take on the Southern dining experience featuring classic and modern twists on New South favorites. Savor sustainable, local ingredients crafted deliciously for your next breakfast or dinner. W LIVING ROOM: Cocktail lounge with light snacks. and menu items into the night. EMPIRE STATE SOUTH: Top Chef judge/James Beard winner Hugh Acheson’s restaurant; bocce court. FLYING BISCUIT CAFÉ: All day breakfast and biscuits. HIGHLAND BAKERY: Breakfast all day. ECCO: Seasonally inspired cuisine with European influences. THE LAWRENCE: Local, seasonal and whole animal cooking. STK: Upscale steakhouse. Great dirty martinis. BURGER FI: Changing the way you think of your favorites with all natural Angus beef burgers. EINSTEIN’S: Large patio; great brunch. and a taste of the Big Easy. 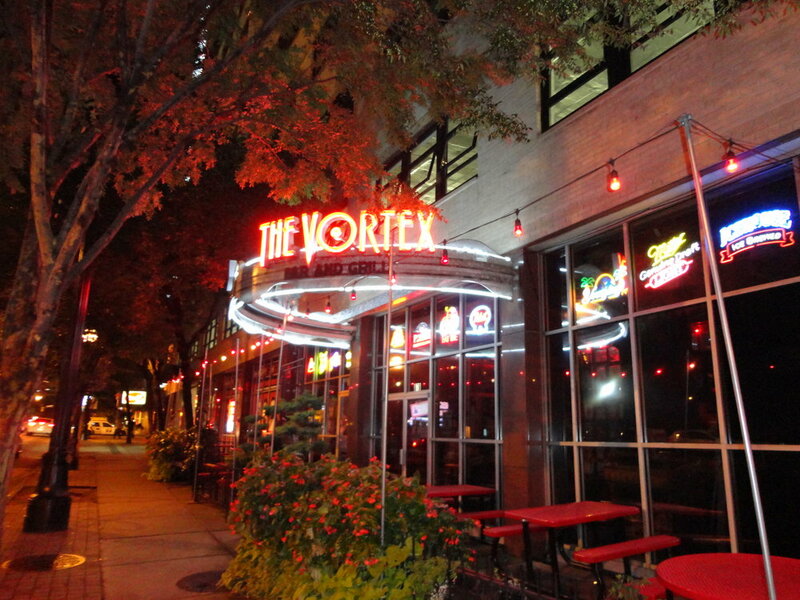 THE NOOK: Neighborhood tavern, voted best patio in Midtown, with nationally acclaimed cocktails and award winning burgers. in daily from around the world. RA SUSHI: Japanese fusion cuisine with an upbeat atmosphere. RI RA IRISH PUB: Pints, fish and chips, lively bar. STEAMHOUSE LOUNGE: Casual seafood and oyster bar. TABLA: An authentic Indian restaurant with a modern twist. TACO MAC: Many TVs + most beers on tap in the city. TAP: Gastropub with burgers & microbrews. including the quadruple bypass challenge.